Prior to the establishment of the Eastern and Midland Regional Assembly on 1st January 2015, the three previous Regional Authorities within Eastern and Midland Region produced individual Regional Planning Guidelines (RPG’s). These planning guidelines set out a strategic planning framework for their respective three areas and will remain in force until at least 2016. The implementation of the RPGs are an integral part of the Government’s programme to enable Ireland’s planning system to play an important role in the national economic recovery by delivering a plan-led planning system where spatial plans are aligned to benefit the economy, environment and provide for an improved quality of life. This process has sought to prioritise future infrastructural investment at a regional and local level, whilst promoting the growth of designated settlements. It is proposed that the (RPG’s) will be replaced by a Regional Spatial & Economic Strategy for the region. 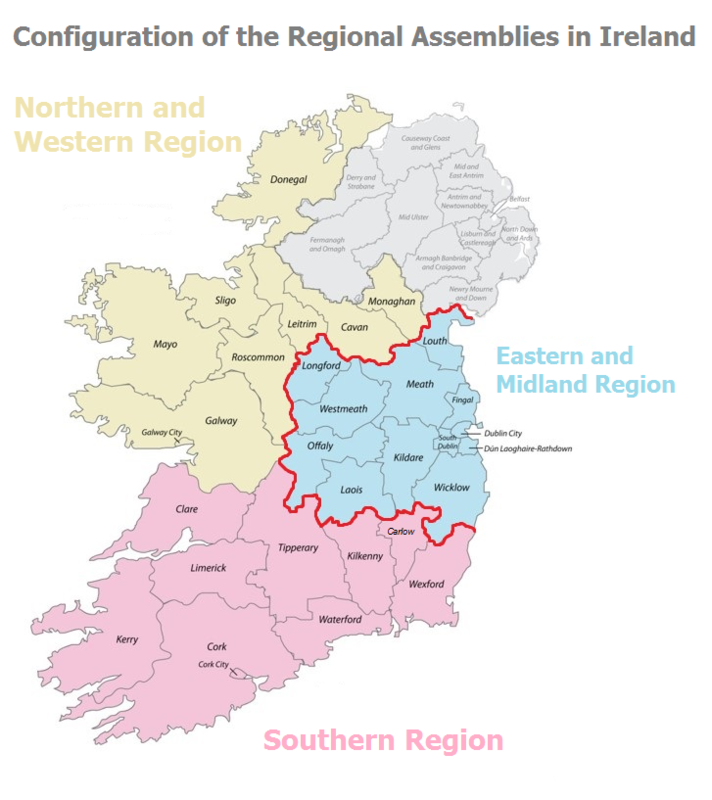 Note: Louth is located in the Border NUTS III area but is now moving to the Eastern and Midland assembly region from the former BMW region.